Open auditions for Kellogg Community College’s Opera Workshop ensemble presentation of “Mozart Madness” will be held next month on campus in Battle Creek. Auditions are open to students and non-students alike and will take place from 5 to 7 p.m. Friday, Sept. 1, in room D210 of the Davidson Visual and Performing Arts Center on campus at 450 North Ave., Battle Creek. “Mozart Madness” is an original KCC production featuring arias, duets and large and small ensembles from some of the composer’s most famous operas. There are a variety of roles available for women and men 16 years of age and older; singers selected for roles in the production will rehearse from 5:30 to 7:30 p.m. Mondays until the public presentation, which will begin at 7:30 p.m. Wednesday, Nov. 29, at KCC’s Binda Performing Arts Center. Audition times must be reserved in advance and can be scheduled by calling 269-965-3931 ext. 2566 or emailing blanchardg@kellogg.edu. Those scheduled to audition should prepare a solo selection in English as well as a short monologue or short poetic work. An accompanist will be provided, though it is encouraged for those auditioning to bring their own. Performers who wish to use KCC’s accompanist should email Cynthia Garn at cynleegarn8@gmail.com to schedule a rehearsal in advance of the scheduled audition. Individuals accepted for principal roles in the ensemble must register for the KCC course MUSI C297-01. For more information about music and performance offerings at KCC, visit www.kellogg.edu/music. 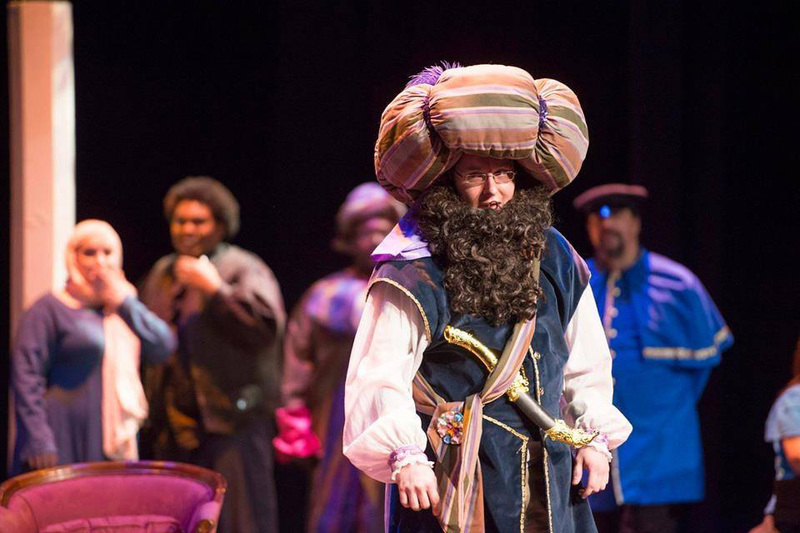 Pictured above is a scene from the KCC Opera Workshop production of “Amahl and the Night Visitors” in 2014.